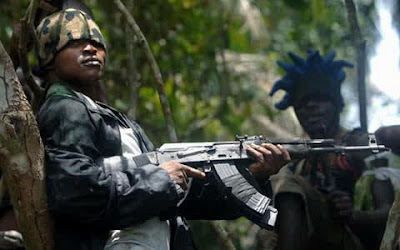 Lapai Local Government Area of Niger State, killing two policemen and injuring four others. The heavily armed gunmen, numbering 50 also raided a bank and took over the community. A resident of the area, who witnessed the ugly incident, told newsmen that the robbers took the police unawares as they shot sporadically, leaving the police helpless. The witnessed, who gave his name as Sule said, “This was the first of its kind. I have not seen that kind of thing until Wednesday when the hoodlums were shooting as if we were in a war situation. Four customers of the bank were shot, while 12 others were injured. The robbers came through Gulu-Lapai road in three vehicles. They later broke up into two groups. “One group blocked the three major roads leading to the town, to ward off security personnel. Niger State Commissioner of Police, Mr. Austin Agbolahor, who led other senior officers on visit to the scene, said the police was investigating the matter.